#Stockholm. #BestofStockholm. #BalticCruises. #ShoreTours. #CruiseExcursions. #CruiseShipExcursions. #CruiseShipShoreExcursions. #ForCruisePassengers. ForCruiseShipPassengers. #BalticVacationTours. #PrivateTourGuide. 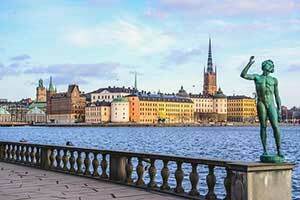 Individual and group tours in Stockholm for cruise line passengers. Spb tours Stockholm. Price for open group tours: $120 PP ($95 PP if booked with St. Petersburg itinerary). 9.00-11.00 » Panoramic drive. In two hours you will see Stockholm’s major attractions: Royal Dramatic Theatre, Raoul Wallenbergs Torg, Kungsträdgården, Riksdag, The Houses of the Swedish Parliament, The Royal Opera, Vasa museum. You will have photo stops at Riddarholmen Island and Fjällgatan, where the view of Stockholm’s islands and waters is truly wonderful. The exact route will depend on the port your ship docks. 11.00-12.00 » Walking tour of Gamla Stan: you will start at the Royal Palace and walk through the streets of the Old Town. You will see Storkyrka (Coronation Church), the Finnish Church, Järnpojke (the Iron Boy which is the tiniest public sculpture), Stortorget (the Old Town market square), the Nobel Museum, Tyska Kyrkan (German Church), and Mårten Trotzigs Gränd (less than a meter wide, Stockholm’s narrowest alley). Our guide will leave you in the very center and you will have chance to enjoy Stockholm on your own. The guide will give you detailed explanations concerning your way back to the port. At request we provide a transfer to the ship (not included in the price). 9.00-12.00 » The tour will start at Fjällgatan street where you will have chance to enjoy a breathtaking view of Stockholm’s islands and waters. 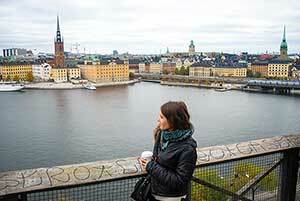 You will walk through Södermalm, Stockholm largest island, to the Gamla Stan, the very heart of the city. Here you will see the Royal Palace, the oldest square Stortorget, the smallest monument Järnpojke (the Iron Boy), the Nobel Museum, the Geman church Tyska kyrkan, Coronation Church Storkyrka and the oldest building in the city Riddarholmskyrka. You will have a walk in the Royal Garden Kungsträdgården and get inside the Stockholm Metro which is often called the World’s Longest Art Gallery. 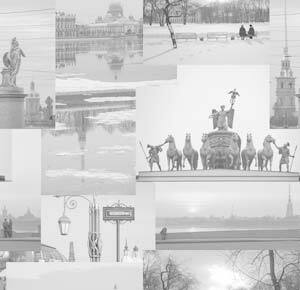 Price for open group tours: $80 PP ($60 PP if booked with St. Petersburg itinerary). 9.00-12.00 » You will start with a bus ride to the island Djurgården (Animal Park). It used to be Royal hunting land and now it's a calm green oasis in the center of the big modern city. Most famous museums such as Vasa, Junibacken, Skansen, ABBA museum are located here. Then you will have a boat ride and get unique chance to enjoy breathtaking views of Stockholm's islands. In 15 minutes you will get to the main city island Stadsholmen where GamlaStan (Old Town) the very heart of the city is situated. You will walk through the streets of the GamlaStan and see all the main attractions: the Royal Palace, the oldest square Stortorget, the smallest monument Järnpojke (the Iron Boy), the Nobel Museum, the Geman church Tyska kyrkan, Coronation Church Storkyrka and the oldest building in the city Riddarholmskyrka. You will have a walk in the Royal Garden Kungsträdgården and get iside the Stockholm Metro which is often called the World’s Longest Art Gallery. NB! The cost of the tour includes cost of Stockholm public transport travel card valid for 24 which you will be able to use after the tour as well. NB! We cooperate with the best Stockholm guides and are ready to provide almost all possible tours as private options. If you haven't found the desired tour in our list please send a request and we will do our best to provide it.